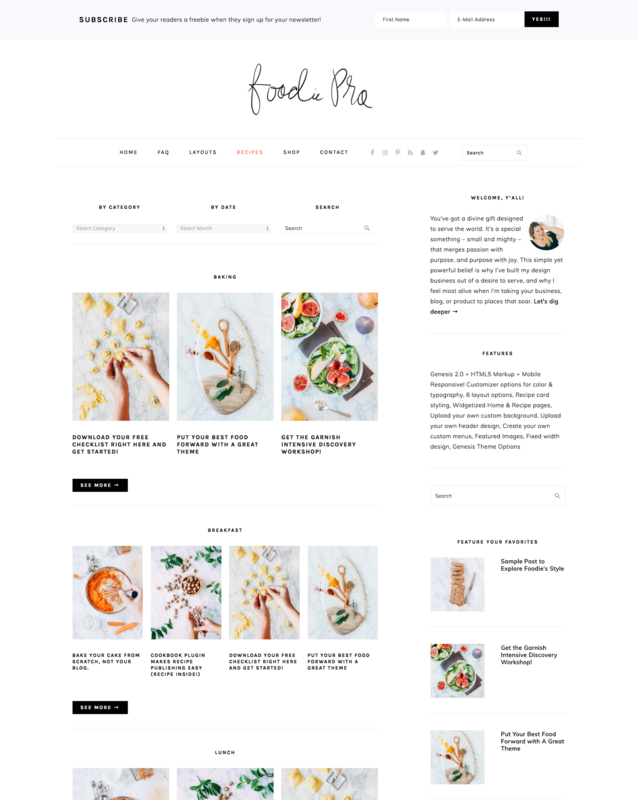 How to Configure the Foodie Pro Recipe Index - Feast Design Co. Note: Instead of following this tutorial, we recommend you follow the instructions to Import the Foodie Pro Widgets to import the pre-configured widgets in your theme files, then customize them. First you’ll want to create a new page by going to Pages -> Add New. In the page editor, type in your page name and then select “Recipe Index” from the Template drop-down in the Page Attributes section. Once you hit publish, you will get the following notice: “The normal editor is disabled because you’re using a widgeted page template. You need to use widgets to edit this page.” Now you can navigate to Appearance -> Widgets and start adding your widgets to this page. This was formerly the “Recipes Top” widget area. 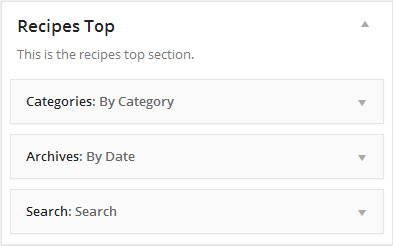 In the Recipes Top widget area, you should add the Categories, Archive, and Search widgets. Make sure you select the option to make drop-downs where available. They will automatically appear in three columns. This was formerly the “Recipes Bottom” widget area. Use the Foodie Pro-Featured Posts widget to display your recent posts by category. Add a new widget for each category that you want to display. This index will support up to 100 posts for each category.